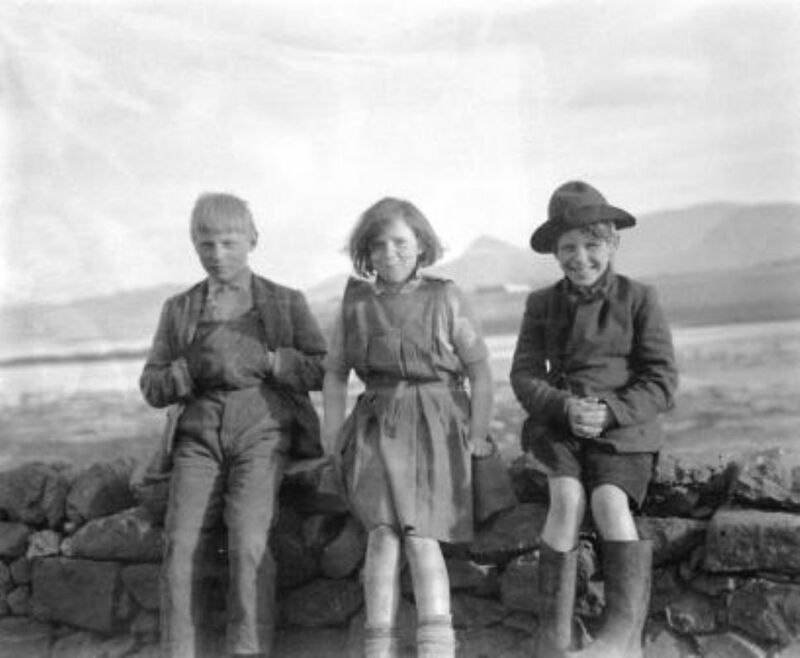 Here at Canna House Archive we have been working to get the Canna School documents ready as they will shortly be going to their new home at Lochaber Archives based in Fort William. The documents were handed in to Canna House after Archivist Magda Sagarzazu was handed a bag from the Isle of Muck, which belonged to one of Canna School's head mistresses, Miss Norma Lutas who was appointed 1.11.74. 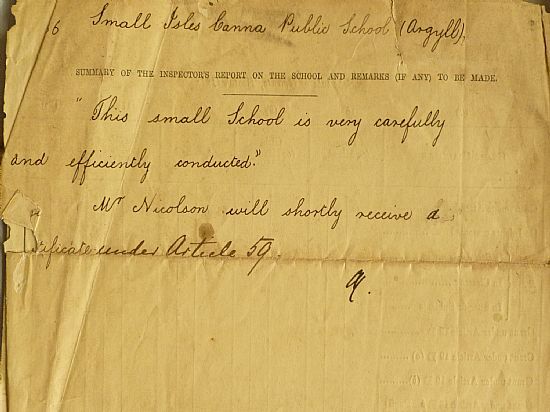 The archives include two school logbooks dating from 1920 and 1972 as well as annual reports of the School Inspector, The Reverend J. Sinclair, from Eigg, who noted on 30 September 1880 "This small school is very carefully and efficiently conducted". 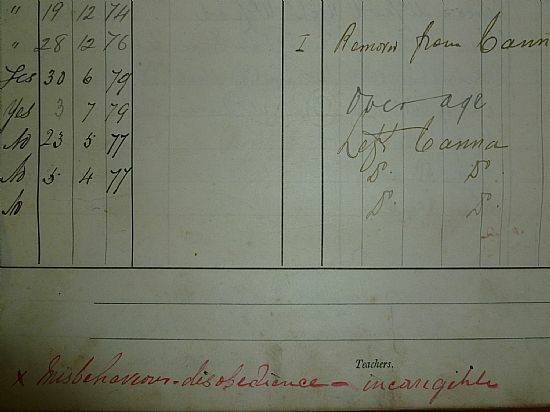 Absenteeism in the log book from 1920s ranged from stormy weather, potato planting and picking and whelk picking. 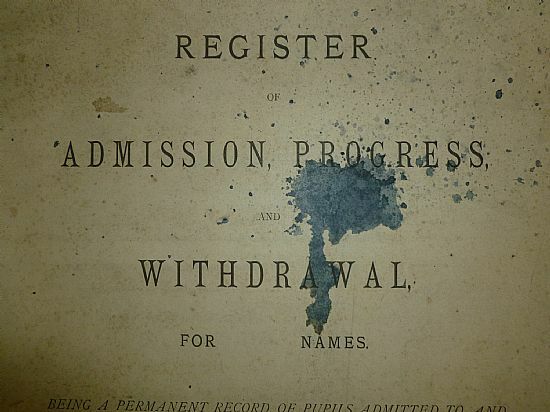 Other documents include the List of Pupils, Examination Schedules, Daily Registers and the Register of Admission, Progress and Withdrawal dating 1878. It is noted in pen with a red X and explanation that one pupil displays "Misbehaviour, Disobedience - incorrigible'. In notes relating to a lost log book from 1979, Miss Lutas poignantly lists as a main event: "April/June: Ishbel, now at the end of her P7 worked very hard this year. I asked her if she would like a momento of her time in the school and she chose a little wooden horse which had stood on my sideboard. We walked over to Canna together on that last afternoon, as it turned out, was to be my last as the Canna teacher."